Green is the trend and embrace it with any of our recyclable custom polypropylene tote bags. 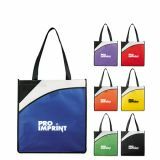 Order wholesale custom polypropylene tote bags imprinted with your business information for your next tradeshow or business event giveaway. 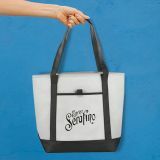 Your recipients can use these customized totes to hold their groceries or anything they like, while doing the favor to themselves and your marketing campaign. 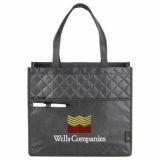 Order today to take advantage of our low price guarantee, free shipping and free typesetting assistance offered on all promotional tote bags. 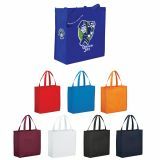 Shop eco-friendly promotional polypropylene tote bags for your upcoming event or celebration at an extremely affordable price. 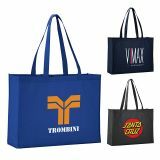 At ProImprint.com, you will find only high quality custom polypropylene tote bags engineered with durable, chemical resistant and recycled materials. 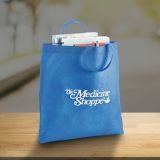 These custom printed tote bags are lightweight and available in various impressive colors. 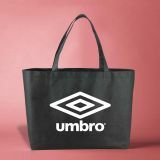 It means these promotional totes don’t demand compromises on their strength or variety. 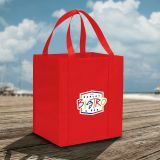 Our wholesale polypropylene bags are sure to be a great hit among your existing and prospective clients. 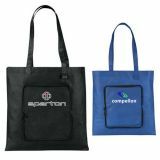 Our cheap personalized polypropylene tote bags are available in various styles and rainbow of colors and guaranteed to offer you perfect match for your business. 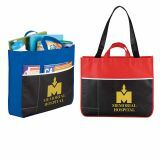 Most of our promotional tote bags in this selection will offer you large imprint area and backed with flexible printing options (screen printing, heat transfer, full color imprint, etc). 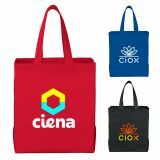 You can imprint your logo, tag line, contact details and other business information over these impressive non-woven polypropylene tote bags to convert them into practical brand advocates and show off your green initiatives in style! 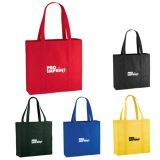 You can order these wholesale customized polypropylene tote bags for your future promotions and make huge savings, too! 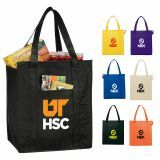 Most of these promotional tote bags will cost you under a dollar, when ordered in bulk. 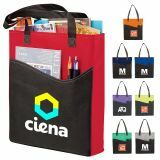 These eco-friendly and recyclable customized totes are perfect for all small and big businesses alike. 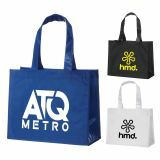 If you are trying to position your business as reliable, these promotional polypropylene tote bags will bring you advantage over harmful and cheaper plastic totes. We are sure that these custom printed non-woven bags will help customers to realize their commitment to the environment and behave sensibly. 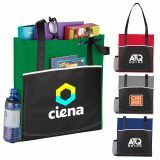 These reusable promotional bags will help you to target a larger audience because your recipients are going to use them every day. 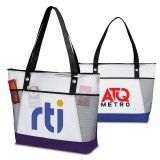 Lightweight and reusable polypropylene tote bags are perfect for regular use and will make great shopping totes and grocery totes. 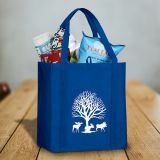 Large polypropylene tote bags are ideal for totting groceries, shopping, carrying lightweight gym accessories and laundry, during long distance travels or while enjoying a day at park, beach, etc. 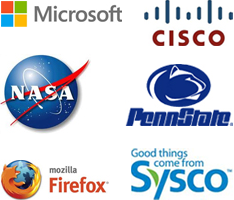 With so many application options your brand popularity will soar high. 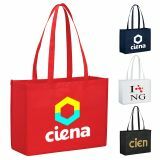 You can offer these custom printed non-woven polypropylene tote bags to your customers in a variety of ways such as brand souvenirs at tradeshows, employee orientation events, fundraiser gifts, door prizes or as party favor gifts. 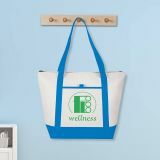 Be assured that these customizable polypropylene non–woven tote bags will always support your green initiatives with their eco-friendly design. Don’t keep on waiting for another day because these recyclable and eco-friendly polypropylene totes are fast disappearing from shelves due to their practical designs and low prices. 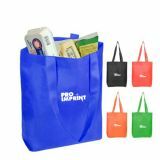 To know more about prices, imprint options and more on these best seller promotional totes or other promotional gifts, you can give us a call at 844-776- 4677or write to us at info@proimprint.com.